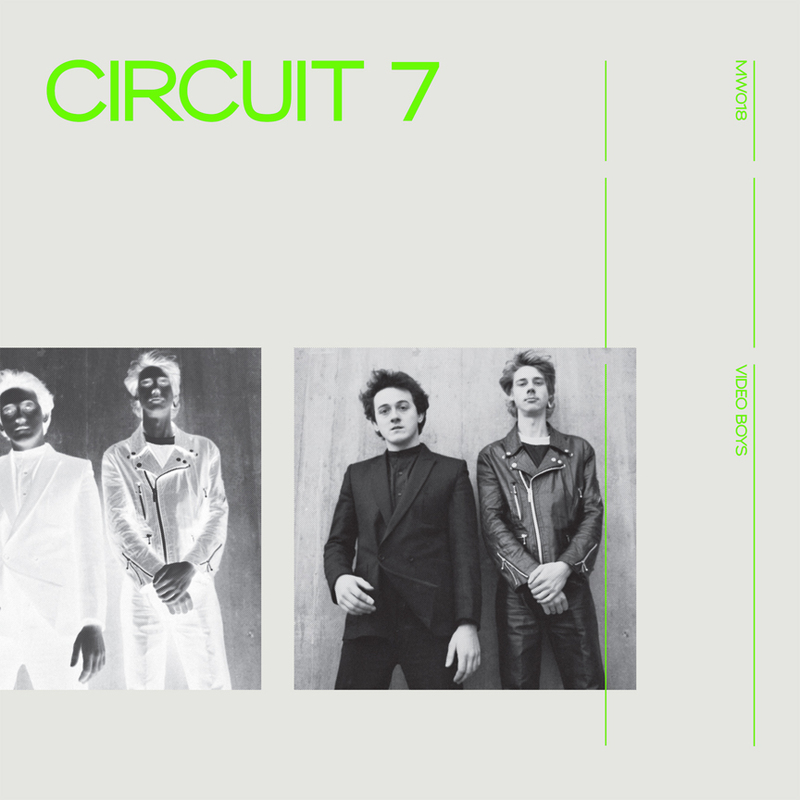 Minimal Wave presents a full length album by cult UK duo Circuit 7, founded by Martyn Good and Andy Partington. They released 2 singles: "Modern Story" and the amazing "Video Boys", and a few tracks on the legendary "Offering of Isca" compilation between 1984 and 1985. The album features the single version of "Video Boys" as well as an unreleased studio version, and other incredible tracks like "Beat Tonight", "The Force", and "Modern Story". The record is pressed on 180 gram neon green vinyl and comes in a matte printed inner sleeve with lyrics and is housed in a matching matte outer jacket.